Joanne & Paul got married at the Boship (lions) Hotel in East Sussex. 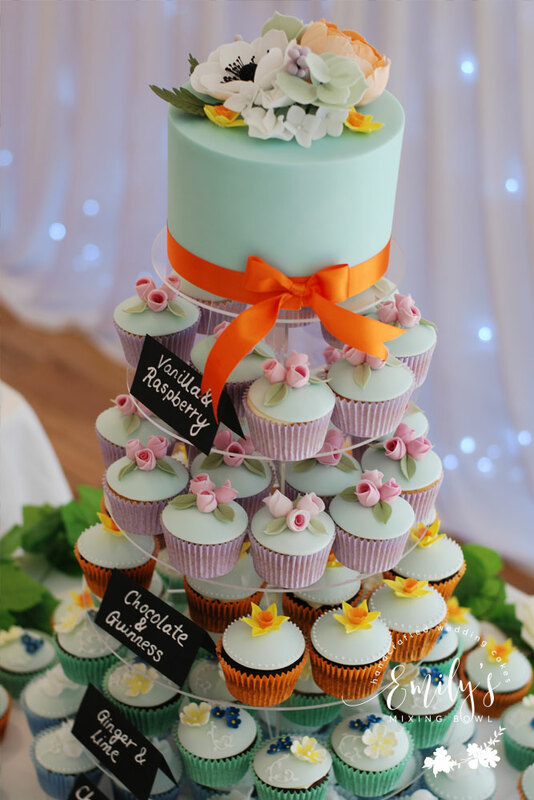 Their colour theme was aqua and orange and had this cupcake tower decorated with handmade spring flowers with a cutting cake on top. The tower holds 100 cupcakes. They had a variety of flavours including chocolate and gunniess, chocolate and salted caramel, lemon, vanilla and lime and ginger.